"The rarest gem in nature. 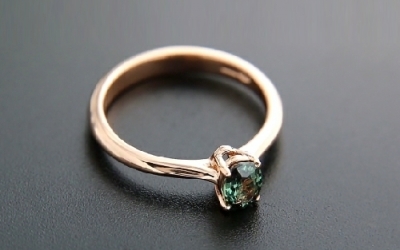 A real estimator can not miss it"
The rarest gemstone that a collector can't miss If you know Alexandrite you also recognize its distinctive features, one of which is its changing colour: emerald green in daylight, ruby red under candlelight. Two souls in one body with a value multiplied by three!! 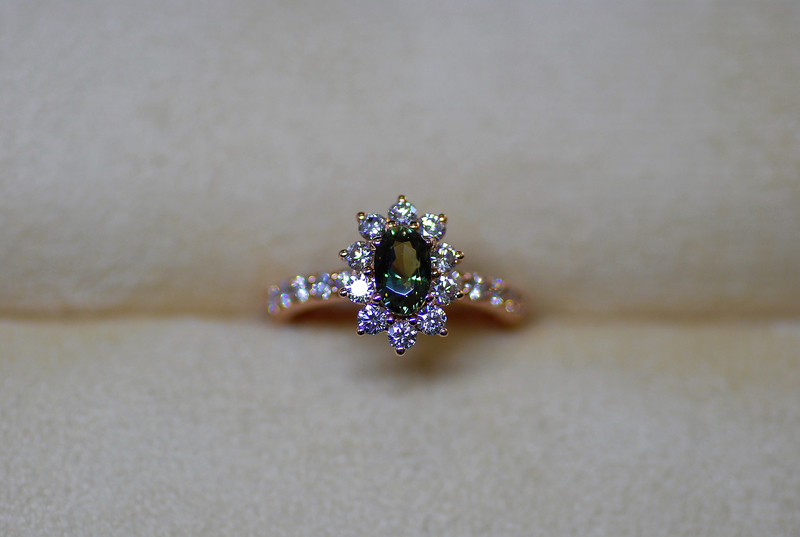 "It is important to evaluate the change of colour and the clarity of the gemstone… any carat weight is fine! Guard yourself from synthetic yet charming Alexandrites"
Apart from the rare coloured diamonds, Alexandrite is definitely the rarest gemstone. This variety of chrysoberyl changes colour when exposed to different light sources. Its main feature therefore is colour change which, in the most rarest specimens, varies from green in daylight to crimson red in an incandescent light. 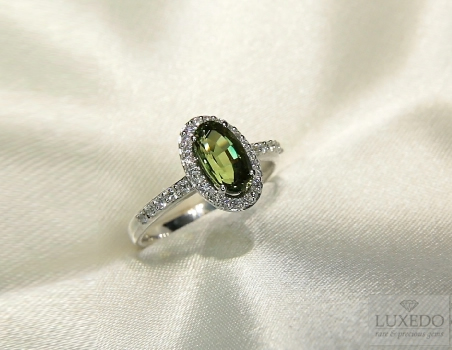 If color doesn’t change, gemstone is a plain chrysoberyl. It was named in honour of Tsar Alessandro II and was found for the first time in 1830 in the Ural mountains. 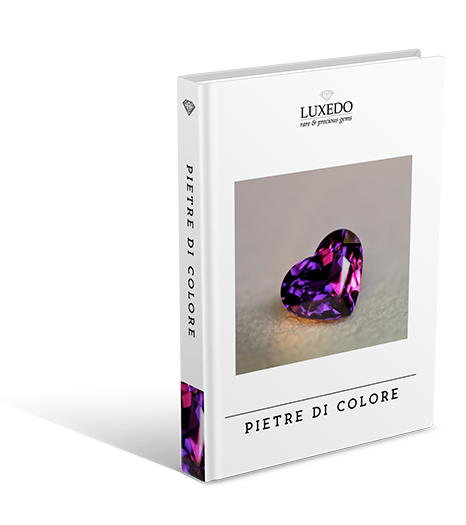 Today, the mines in the Ural mountains are depleted and now most Alexandrites come from Brazil, Tanzania and Madagascar.Evaluate the colourAlexandrite can take on different colours; the most desirable gemstones switch from pure red and green colours. 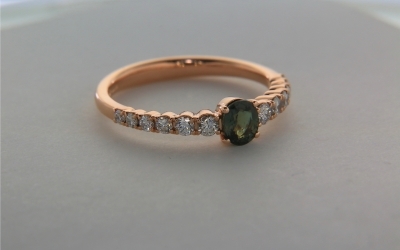 In fact, there are very few examples in the world of gemstones with these colours. Nowadays the buyer have to be careful because of many fakes and synthetic gems whose colours are too good to be true. Colours range of this gemstone can vary from crimson-red to bluish green and yellowish green, brown… and other shades that are mixtures of the above. 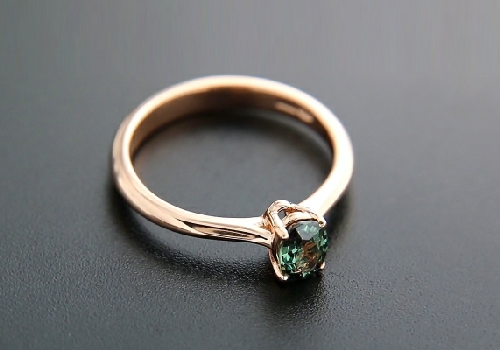 Gemstone colours generally reflect the various mining areas. 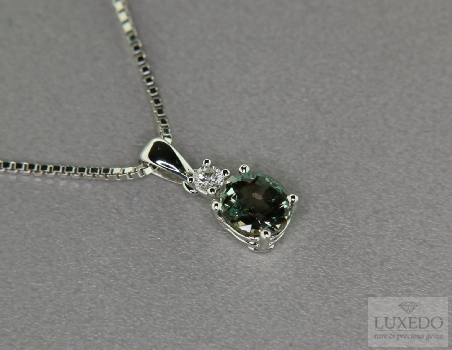 Evaluating an Alexandrite it is very important to judge its change in colour under a good light source, incandescent light first.The sharper and most sudden change in the gemstone, the greater the value will be. 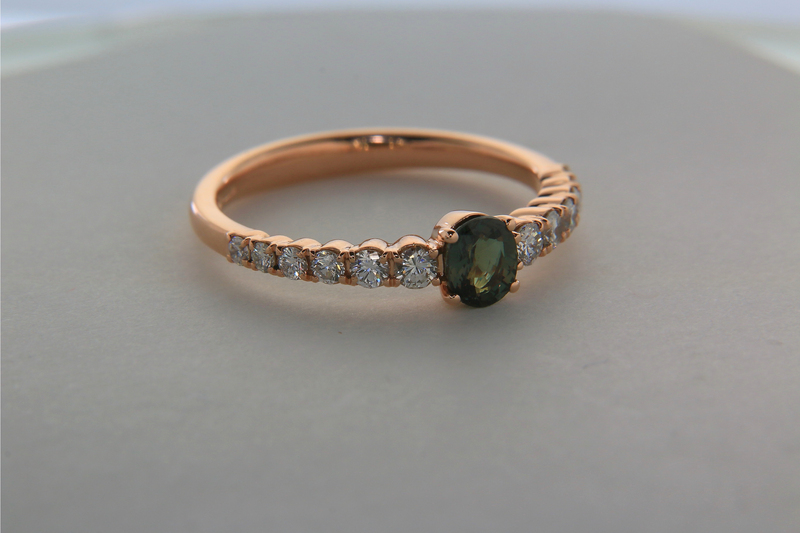 Gemstones that present rare phenomena such as change in colour often have dark tones and are semi-transparent. Transparent clear crystals with good colour saturation and strong colour change (ideally from green to red) increase the rarity and economic value of the gemstone. 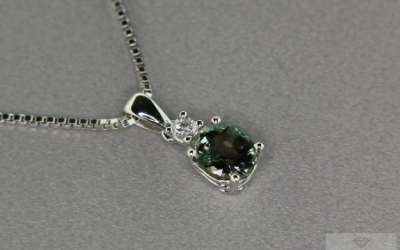 An excellent Alexandrite is very valuable in any carat weight but its rarity increases dramatically over 3 carats. 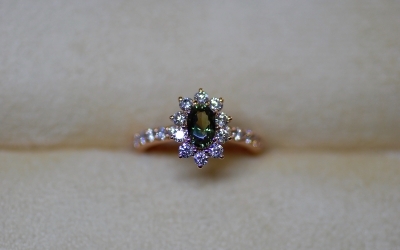 Being a typical variety of chrysoberyl, Alexandrite can also present the typical trick of light in the cymophane variety (typically called cat’s eye) i.e. the bright silvery white line highlighted by a cabochon cut reminds you of a cat’s pupil. 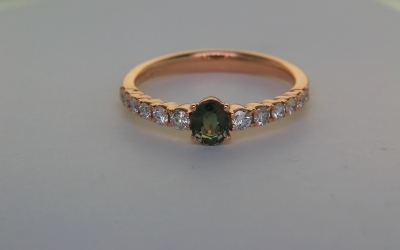 Obviously this special type of Alexandrite always presents its typical colour change unlike the cymophane that always remains yellow. 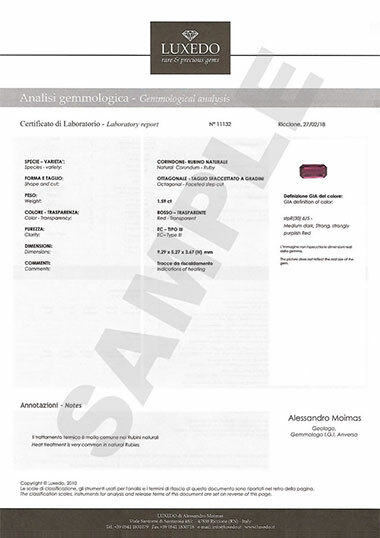 For precious and rare gemstones like that one, there are of course always fakes and synthetics, both easily recognisable by a gemmologist: lab created Alexandrites have the same physical characteristics and can be recognized only after careful analysis under the microscope. 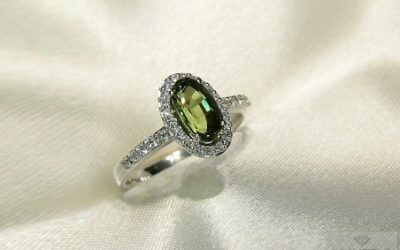 Generally synthetic gemstones are presented as Alexandrites with exceptional gemmiferous quality but at relatively low prices. 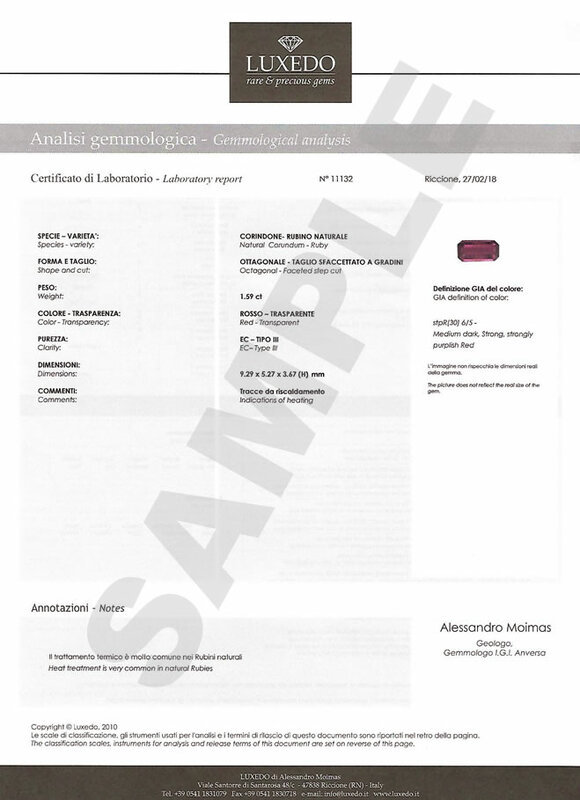 Always ask for a gemmological certificate that attests its natural origin!